Founder of SLEEP-EEZ KIDZ, SLEEP WELL/LEARN WELL, SLEEP WELL/WORK WELL, and the author of the books “Devin & Evan Sleep From 8-7” and “Devin & Evan Play Fortnite ’Til 11″, Dr. Whitney Roban considers sleep a necessity, not a luxury. Her mission is to provide the education, solutions, and support parents need to have well-rested families, students need to have academic success, working parents need to thrive both at home and at work, and corporations need to have healthy and well-rested employees. Dr. Roban offers these various sleep supports via her SLEEP-EEZ KIDZ private practice, her SLEEP WELL/LEARN WELL educational sleep consulting, and her SLEEP WELL/WORK WELL corporate family sleep programs. 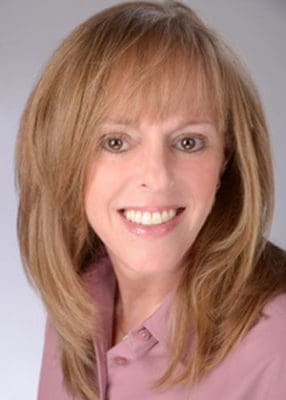 With a Ph.D. in Clinical and School psychology from Hofstra University, Whitney began her career as a child development clinician, as well as creator and author of books and games for use in child psychotherapy. She then took her expertise to the Girl Scout Research Institute, where she authored national research studies in the youth market and reported the results in various media outlets such as television and radio. After taking time off from her professional life to be a mom and focus on her own families’ healthy sleep, Whitney created the various family and educational programs that have helped thousands of families sleep soundly every night. Dr. Roban’s unique and invaluable education, training, and experience as a clinical psychologist paved the way to her success as a leading expert in family sleep. Dr. Roban is the author of the Devin & Evan book series, which uses common themes in children’s lives such as sports, academic success, and video gaming to teach children why sleep is so important. Whitney is also a contributor to and sits on the advisory board panel of the American Sleep Association. She is an international contributor to the Huffington Post Sleep & Wellness, as well as Thrive Global. She has written for and worked with national publications and organizations such as Working Mother Magazine, Pregnancy & Newborn Magazine, MSN, Business Insider, NBC News, Bravo TV, Newsday, Viacord, LinkedIn, The Broad Institute of Harvard & MIT, The Boston College Center for Work & Family, Proctor & Gamble, Rosie Pope Maternity, Bright Horizons, National Association of Mothers Centers, The New York Baby Show, and the 14th Street Y.